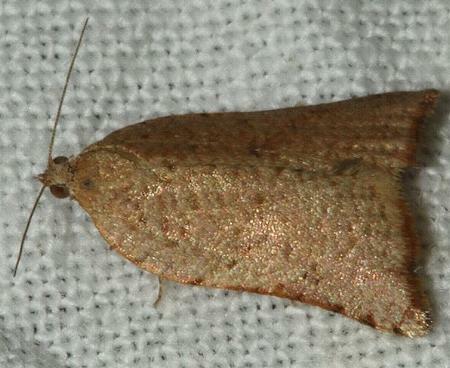 The adult moths of this species are brown with dark speckles, with each forewing having some dark spots along the costa. The forewings have a slight recurve in each of the three edges: the costa, the outer margin, and the hind margin. The wingspan is about 3 cms. Part 28 (1863), p. 311, No. 12.